Arsanis and X4 Pharmaceuticals Agree to Merger | Arsanis, Inc.
CAMBRIDGE, Mass. and WALTHAM, Mass. and VIENNA, Austria, Nov. 27, 2018 (GLOBE NEWSWIRE) -- Arsanis, Inc. (Nasdaq: ASNS) and privately-held X4 Pharmaceuticals, Inc., a clinical-stage biopharmaceutical company focused on the discovery and development of novel therapeutics designed to improve immune cell trafficking to treat rare diseases and cancer, today announced that they have entered into a definitive merger agreement under which X4 Pharmaceuticals is expected to merge with a wholly-owned subsidiary of Arsanis in an all-stock transaction. The merger would result in a combined company operating under the X4 Pharmaceuticals name that will focus on the development and commercialization of X4’s lead product candidate, X4P-001, and the advancement of X4’s pipeline of treatments for rare diseases of the immune system and rare cancers. 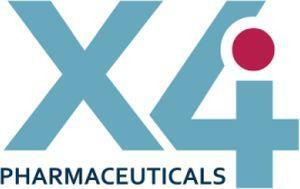 X4 Pharmaceuticals is a privately-held biopharmaceutical company developing oral, small molecule drug candidates that inhibit the binding of chemokine CXCL12 to C-X-C receptor type 4 (CXCR4), a receptor-ligand pair that plays an essential role in normal immune surveillance. X4’s lead product candidate, X4P-001, is expected to enter a Phase 3 clinical trial in the first half of 2019 for the potential treatment of Warts, Hypogammaglobulinemia, Immunodeficiency, and Myelokathexis (WHIM) syndrome, a rare genetic, primary immunodeficiency disease where patients become susceptible to certain types of viral and bacterial infections due to genetic mutations in the CXCR4 receptor gene. X4 also has additional rare disease programs based on CXCR4 biology in its development pipeline, including programs targeting other primary immunodeficiency diseases and rare lymphomas. In addition, X4 is exploring the use of X4P-001 in immuno-oncology, having completed Phase 1b studies for the treatment of melanoma and renal cell carcinoma (RCC), including in combination therapy, and has an ongoing Phase 2a study in RCC expected to read out in mid-2019. In addition to the merger agreement, Arsanis announced today that Michael P. Gray has been appointed to the position of president and chief executive officer, effectively immediately. Mr. Gray will also join the Arsanis Board of Directors and will continue to serve in his existing role as chief financial officer. Mr. Gray succeeds René Russo, PharmD who has resigned as president and chief executive officer to pursue other opportunities. Dr. Russo will remain on the Arsanis Board of Directors. “I would like to thank René for her leadership at Arsanis, both as chief development officer previously and more recently as president and chief executive officer, and wish her the best in her future endeavors,” said Tillman U. Gerngross, Chairman of the Arsanis Board of Directors. On a pro forma basis and based upon the number of Arsanis shares to be issued in the merger, current X4 Pharmaceuticals stockholders are expected to own approximately 70% of the combined company and current Arsanis stockholders are expected to own approximately 30% of the combined company. The actual allocation will be subject to adjustment based on each company’s outstanding equity ownership and Arsanis’ net cash balance at the time of closing of the merger. The transaction has been approved by the board of directors of both companies. The merger is currently expected to close in the first quarter of 2019, subject to the approval of the stockholders of each company and the satisfaction or waiver of other customary conditions. Leerink Partners acted as exclusive financial advisor and WilmerHale LLP served as legal counsel to Arsanis. Stifel acted as exclusive financial advisor and Mintz, Levin, Cohn, Ferris, Glovsky and Popeo, P.C. served as legal counsel to X4 Pharmaceuticals. Following the merger, Paula Ragan, X4 Pharmaceuticals’ president and chief executive officer, is expected to become president and chief executive officer of the combined company. The board of directors is expected to be comprised of seven directors, including Rene Russo and David McGirr, both currently serving on Arsanis’ board. Upon closing of the transaction, the merged company will operate under the X4 Pharmaceuticals name and the company’s common stock is expected to trade on the Nasdaq Global Market under a ticker symbol to be announced at a later date. The corporate headquarters will be located in Cambridge, Massachusetts at X4 Pharmaceuticals’ existing facility, and X4 will maintain Arsanis’ research and development facility in Vienna, Austria. The companies will host a conference call to discuss the proposed transaction as well as X4’s platform and pipeline assets on Tuesday, November 27, 2018 at 8:30 a.m. U.S. EST. The live webcast can be accessed on the Events & Presentations page of Arsanis’ website or by dialing (866) 688-4431 (U.S.) or (409) 217-8327 using the conference ID number 4067628. The conference call and webcast will include presentation slides that can be viewed through the webcast; please log-in to the webcast in order to view the accompanying presentation. The conference call and corresponding webcast will be archived on the Arsanis website for 30 days following the call and can be accessed on the Events & Presentations page of Arsanis’ website or by dialing (855) 859-2056 (U.S.) or (404) 537-3406. X4 Pharmaceuticals is developing novel therapeutics designed to improve immune cell trafficking to treat rare diseases and cancer. X4’s oral small molecule drug candidates antagonize the CXCR4 pathway, which plays a central role in immune surveillance. X4’s most advanced product candidate, X4P-001, is in a Phase 2 clinical trial in patients with WHIM syndrome, a rare genetic, primary immunodeficiency disease, and is currently under investigation in multiple clinical trials in solid tumors. X4P-001 is expected to begin a Phase 3 trial in WHIM syndrome in the first half of 2019. X4 was founded and is led by a team with deep product development and commercialization expertise, including several former members of the Genzyme leadership team, and is located in Cambridge, MA. For more information, visit www.x4pharma.com. Arsanis, X4 Pharmaceuticals and their respective directors and executive officers may be deemed to be participants in the solicitation of proxies from the holders of Arsanis common stock in connection with the proposed transaction. Information about Arsanis’ directors and executive officers is set forth in Arsanis’ Annual Report on Form 10-K for the year ended December 31, 2017, which was filed with the SEC on March 9, 2018, and the proxy statement for Arsanis’ 2018 annual meeting of stockholders, which was filed with the SEC on April 23, 2018. Other information regarding the interests of such individuals, as well as information regarding X4 Pharma’s directors and executive officers and other persons who may be deemed participants in the proposed transaction, will be set forth in the proxy statement/prospectus/information statement, which will be included in Arsanis’ registration statement when it is filed with the SEC. You may obtain free copies of these documents as described in the paragraph below. In connection with the proposed transaction, Arsanis will file with the SEC a Registration Statement on Form S-4 that will include a proxy statement and a prospectus of Arsanis and an information statement of X4 Pharmaceuticals and certain of its affiliates (the “X4 Pharmaceuticals Parties”), and the parties may file with the SEC other relevant documents concerning the proposed transaction. Arsanis will mail the definitive proxy statement/prospectus/information statement to the Arsanis stockholders and the X4 Pharmaceuticals Parties equity holders. ARSANIS STOCKHOLDERS AND X4 PHARMACEUTICALS PARTIES EQUITY HOLDERS ARE URGED TO READ THE REGISTRATION STATEMENT AND PROXY STATEMENT/PROSPECTUS/INFORMATION STATEMENT REGARDING THE PROPOSED TRANSACTION WHEN IT BECOMES AVAILABLE AND ANY OTHER RELEVANT DOCUMENTS FILED WITH THE SEC, AS WELL AS ANY AMENDMENTS OR SUPPLEMENTS TO THOSE DOCUMENTS, BECAUSE THEY WILL CONTAIN IMPORTANT INFORMATION. Investors and security holders may obtain a free copy of the proxy statement/prospectus/information statement (when available) and other filings containing information about Arsanis at the SEC’s website at www.sec.gov. The proxy statement/prospectus/information statement (when available) and the other filings may also be obtained free of charge by contacting: Arsanis, Inc., 890 Winter Street, Suite 230, Waltham, MA 02451, Attention: Investor Relations. Additional information regarding the interests of those participants and other persons who may be deemed participants in the transaction may be obtained by reading the proxy statement/prospectus/information statement regarding the proposed transaction when it becomes available. Free copies of this document may be obtained as described in the preceding paragraphs. Certain statements in this communication regarding the proposed merger and other contemplated transactions (including statements relating to satisfaction of the conditions to and consummation of the proposed merger; the expected ownership of the combined company; the alternatives to the proposed merger; the expected benefits of the merger; the management and organization of the combined company; the initiation, cost, timing, progress and results of X4’s development activities, nonclinical studies and clinical trials; the potential benefits that may be derived from any product candidates; X4’s strategy to advance strategic collaborations; and the strategies, goals, prospects, plans, expectations, forecasts or objectives of Arsanis, X4 or the combined company), constitute “forward-looking statements” within the meaning of Section 27A of the Securities Act of 1933, as amended (the Securities Act), and Section 21E of the Securities Exchange Act of 1934, as amended (the Exchange Act), and are usually identified by the use of words such as “anticipates,” “believes,” “estimates,” “expects,” “intends,” “may,” “plans,” “projects,” “seeks,” “should,” “will,” “would,” and variations of such words or similar expressions. We intend these forward-looking statements to be covered by the safe harbor provisions for forward-looking statements contained in Section 27A of the Securities Act and Section 21E of the Exchange Act and are making this statement for purposes of complying with those safe harbor provisions. These forward-looking statements reflect our current views about our plans, intentions, expectations, strategies and prospects, which are based on the information currently available to us and on assumptions we have made. Although we believe that our plans, intentions, expectations, strategies and prospects as reflected in or suggested by those forward-looking statements are reasonable, we can give no assurance that the plans, intentions, expectations or strategies will be attained or achieved. Furthermore, actual results may differ materially from those described in the forward-looking statements and will be affected by a variety of important risks and factors that are beyond our control. Risks and uncertainties for Arsanis, X4 and the combined company include, but are not limited to, the: inability to complete the proposed merger and other contemplated transactions; liquidity and trading market for shares prior to and following the consummation of the proposed merger; costs and potential litigation associated with the proposed merger; failure or delay in obtaining required approvals by the SEC or any other governmental or quasi-governmental entity necessary to consummate the proposed merger, including our ability to file an effective proxy statement/prospectus/information statement in connection with the proposed merger and other contemplated transactions, which may also result in unexpected additional transaction expenses and operating cash expenditures on the parties; failure to obtain the necessary stockholder approvals or to satisfy other conditions to the closing of the proposed merger and the other contemplated transactions; a superior proposal being submitted to either party; failure to issue Arsanis’ or the combined company’s common stock in other contemplated transactions exempt from registration or qualification requirements under applicable state securities laws; risks related to the costs, timing and regulatory review of the combined company’s nonclinical studies and clinical trials; uncertainties in obtaining successful clinical results for product candidates such as X4P-001 and unexpected costs that may result therefrom; inability or the delay in obtaining required regulatory approvals for product candidates such as X4P-001, which may result in unexpected cost expenditures; failure to realize any value of certain product candidates developed and being developed, in light of inherent risks and difficulties involved in successfully bringing product candidates to market; inability to develop new product candidates; inability to commercialize and launch any product candidate that receives regulatory approval, including X4P-001; the combined company’s anticipated capital expenditures, its estimates regarding its capital requirements and its need for future capital; uncertainties of cash flows and inability to meet working capital needs; cost reductions that may not result in anticipated level of cost savings or cost reductions prior to or after the consummation of the proposed merger; the approval by the U.S. Food and Drug Administration and European Medicines Agency and any other similar foreign regulatory authorities of other competing or superior products brought to market; risks resulting from unforeseen side effects; risk that the market for the combined company’s products may not be as large as expected; inability to obtain, maintain and enforce patents and other intellectual property rights or the unexpected costs associated with such enforcement or litigation; inability to obtain and maintain commercial manufacturing arrangements with third party manufacturers or establish commercial scale manufacturing capabilities; inability to establish and maintain licensing, collaboration or similar arrangements on favorable terms and the inability to attract collaborators with development, regulatory and commercialization expertise; inability to successfully commercialize any approved product candidates, including their rate and degree of market acceptance; unexpected cost increases and pricing pressures; the possibility of economic recession and its negative impact on customers, vendors or suppliers; and risks associated with the possible failure to realize certain benefits of the proposed merger, including future financial, tax, accounting treatment, and operating results. Many of these factors that will determine actual results are beyond Arsanis’, X4’s, or the combined company’s ability to control or predict. Existing and prospective investors are cautioned not to place undue reliance on these forward-looking statements, which speak only as of the date hereof. The statements made in this press release speak only as of the date stated herein, and subsequent events and developments may cause our expectations and beliefs to change. While we may elect to update these forward-looking statements publicly at some point in the future, we specifically disclaim any obligation to do so, whether as a result of new information, future events or otherwise, except as required by law. These forward-looking statements should not be relied upon as representing our views as of any date after the date stated herein.